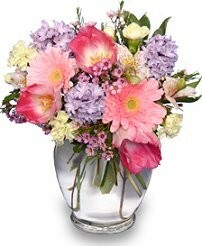 Show how much you care with a pretty bouquet of flowers from THE FLOWER BASKET! The Flower Basket has been a leading full service florist in the Rockwell, North Carolina and surrounding area since 1982. We will design breathtaking floral arrangements for all occasions from sympathy, weddings, anniversaries, birthdays, get well and just because. Ask about our delicious fruit and gourmet baskets, they make the perfect gift for any occasion. We offer a nice selection of candles, Russ® plush stuffed animals, silk arrangements, balloons for all occasions, and baby gifts. Ask our staff about customizing a Sympathy Tribute for the funeral of a departed loved one or friend. We can help you choose a funeral arrangement that beautifully conveys your expression of sympathy and serves as a lovely memorial to the deceased. 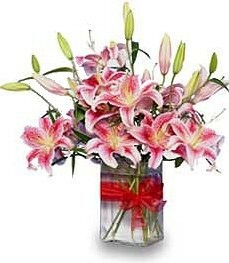 Wedding and Party Flowers from The Flower Basket will make your special day a blooming success!! Call us in advance at 704-279-4985 to set up an appointment with one of our floral professionals. We are conveniently open to serve your floral and gift giving needs Monday through Friday 9:00 am to 5:00 pm and Saturday 9:00 am to 1:00 pm. We deliver daily to all local funeral homes and hospitals.